Almost three years after the original reveal, Tom Clancy’s The Division is just one week away from its March 8 launch. It seems fitting, then, that all sorts of trailers would be published by Ubisoft. In this case, it’s actually a video showcasing the NVIDIA GameWorks features that have been implemented in the game: HBAO+ and PCSS. In the video, Massive’s Technical Director Anders Holmquist explains how the developer and NVIDIA worked together to create the best version of The Division’s New York City on PC. During the last years, we worked closely with NVIDIA to create the most immersive and realistic version of New York for the PC version of The Division. One of the technologies that helped us achieve this level of quality is an NVIDIA technique called HBAO+. HBAO+ improves upon existing ambient occlusion techniques to add richer, more detailed and realistic shadows around objects that occlude rays of light. It is faster, better and a significant improvement compared to previous techniques. In such a vertical environment, NVIDIA’s PCSS solution was a key technology to add contact-hardening, realistic soft shadows that progressively soften as the distance from the casting object increases, improving the image quality and increasing the realism of Manhattan. These exclusive technologies contributed to the development of the most immersive and breathtaking version of New York City. Ubisoft has been a partner of NVIDIA for the last few years, so there’s little surprise there. Hopefully they will be able to fix SLI support, which was supposed to be already present in the beta but didn’t work at all, in time for release. You can check out the official system requirements here in case you haven’t already. 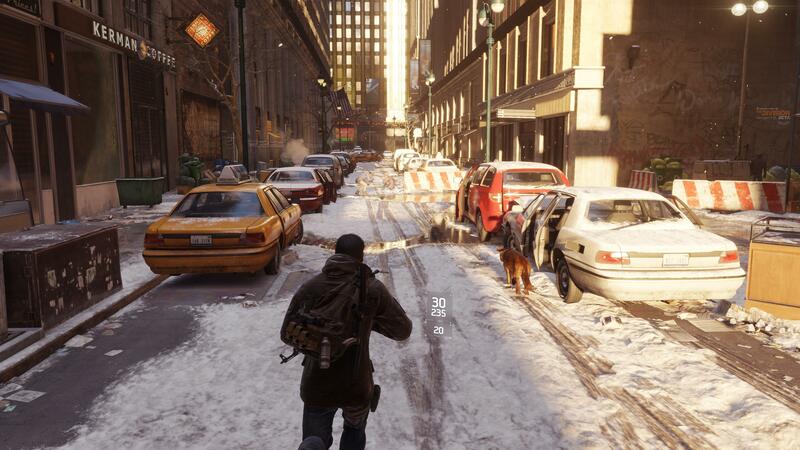 We also recently got the news that The Division’s Snowdrop engine might be used in other Ubisoft titles in the future.